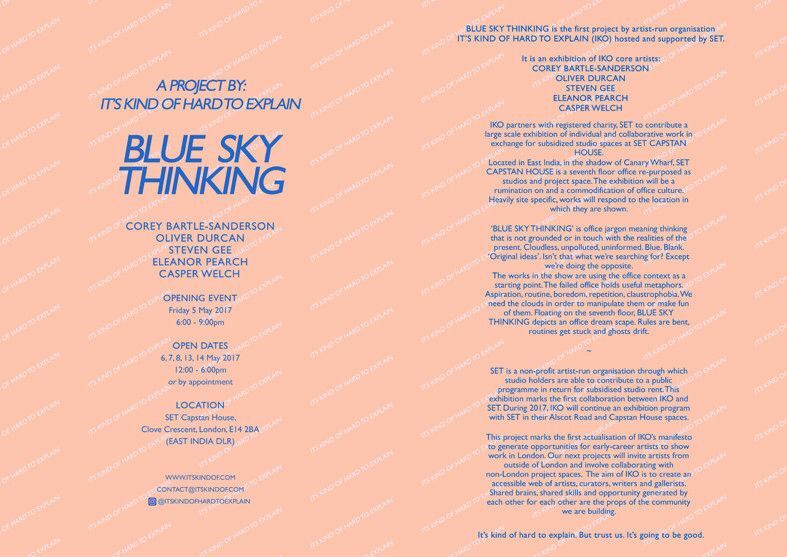 Blue Sky Thinking is the first project by artist-run organisation:It’s Kind of Hard to Explain (IKO) supported and hosted by ST.
of Canary Wharf, SET CAPSTAN HOUSE is a seventh floor office re-purposed as studios and project space. The exhibition will be a rumination on and a commodification of office culture. Heavily site specific, works will respond to the location in which they are shown. the first collaboration between IKO and SET. During 2017, IKO will continue an exhibition program with SET in their Alscot Road and Capstan House spaces. 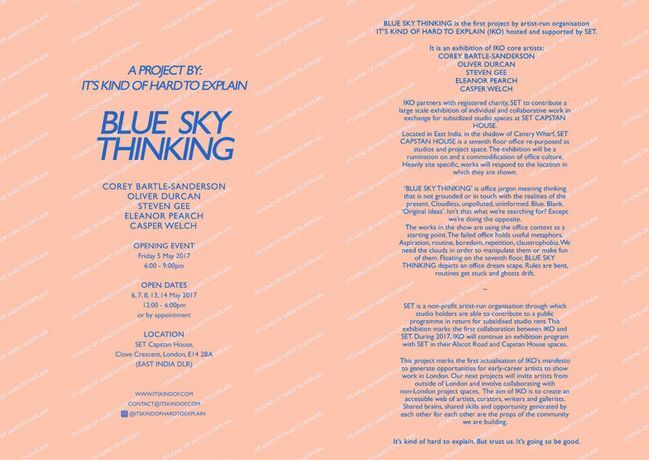 This project marks the first actualisation of IKO’s manifesto to generate opportunities for early-career artists to show work in London. Our next projects will invite artists from outside of London and involve collaborating with non-London project spaces. of artists, curators, writers and gallerists. Shared brains, shared skills and opportunity generated by each other for each other are the props of the community we are building. It’s kind of hard to explain. But trust us.